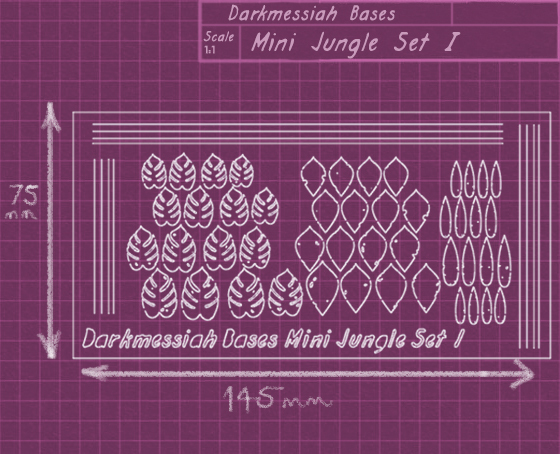 Laser cut paper jungle leaf set number 1. 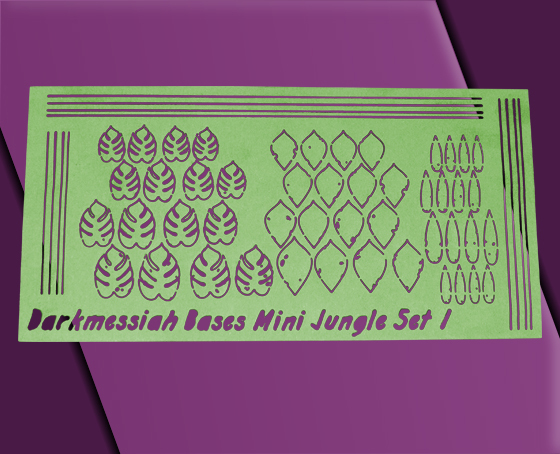 Jungle set 1 offers a realistic, flexible and simple alternative to brass etched leaves which can be difficult to shape, glue and paint. 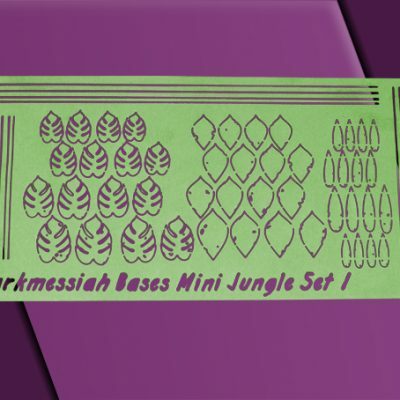 Jungle set 1 offers a large amount of variation coming with 3 different types of leaves in many different sizes ranging from 10mm to 17mm in length and is designed to be at it’s best when used with 28-52mm miniatures.